You may have come across the term 'Financial Planning' and wondered what it means. You may have decided to work on your own Financial Plan but you're not sure how. Whatever your situation, the following information can help you decide what's right for you. Financial Consumers explains the concept of Financial Planning and its benefits. 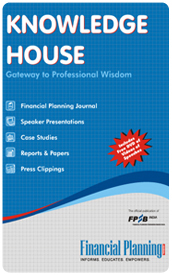 It describes what you should expect and highlights the importance of your role in the Financial Planning process. The answers to some common questions about Financial Planning are also provided. You will find many self-proclaimed & company designated Financial Planners in the market, but most of them lack knowledge, competence & skills of a professional in the true sense. This section will help you in finding an ethical & competent financial planner who can help you in achieving your financial goals. Click the Menus on the left to learn about Financial Planning and reap the benefits of adopting the Financial Planning discipline and hiring a qualified professional like a Certified Financial Planner.